When surfing the web on your smartphone, there are times when you come across interesting pages or articles. However, you may not have enough time to read it right away, and one possible option is to bookmark the page. There are rare cases where some web pages disappear with the change in URL, and it’s difficult to track down the same later. This is where saving the web page to read it later is a good option. Google has recently added the offline mode right into the Chrome web browser. 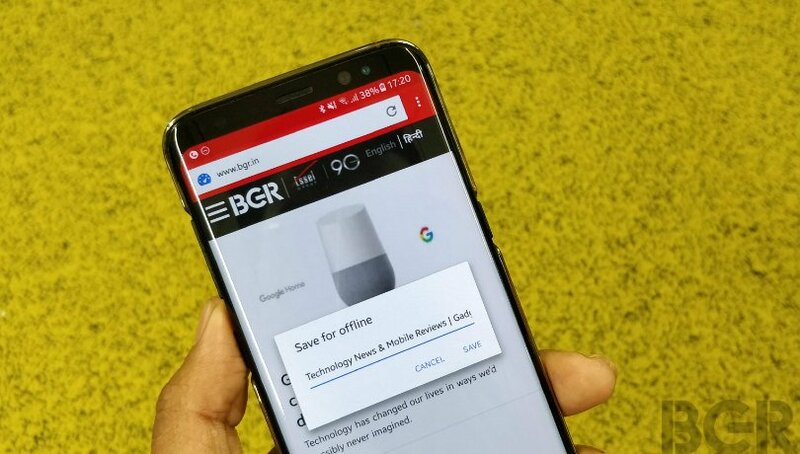 The feature allows you to save the entire webpage on your Android smartphone, which you can view later at your convenience. A similar feature is also available on Mozilla browser, Opera and Opera Mini browsers. Then there are services such as Poket, Instapaper and PaperSpan. Let’s take a look at how it works. Google has made it simpler to save web pages for offline viewing. Open any web page that you want to save, tap on three-dots on the top right and tap on the download icon. This will download the web page and save it on your Android smartphone. 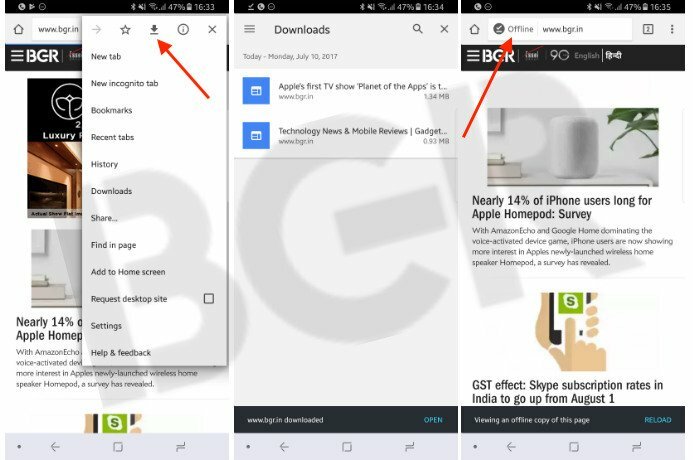 To access your saved web pages on Chrome for Android, tap on three dots on top left, and tap on downloads. When you open offline saved web pages, a small icon with text reading ‘offline’ will indicate that it’s an offline page. In case of Opera and Opera Mini browsers, open the webpage, tap on three dots on top left and tap on save for offline. To access and view these files, tap on the Opera icon on the bottom right corner, and tap on offline pages. You can even save the web pages as PDF for offline viewing. On Google Chrome, open the page, tap on three-dots on the top right, followed share, and tap on Print. Next, choose the paper size, number of pages and orientation, followed by tapping on PDF icon. It will ask you to choose the folder where you want to save it, and the PDF file will be saved in that folder. You can access the same from file manager. 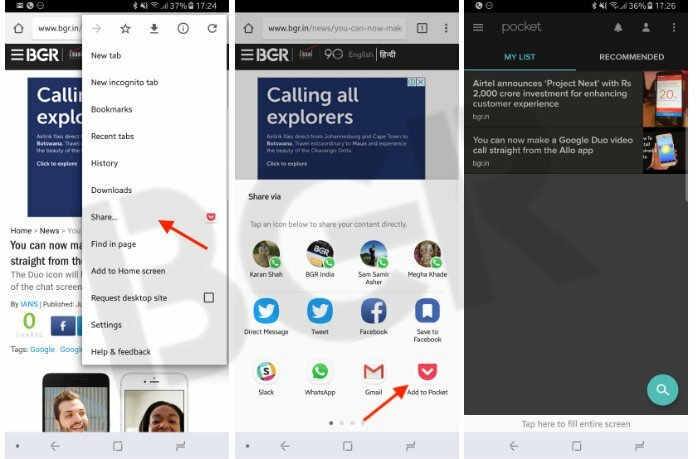 Using a service like Pocket is a convenient option, rather than saving the web pages on your Android device. When you save pages as PDF or on web browsers, they are only accessible on your smartphone. Also, if the web page is saved on your smartphone, and the files get deleted, there is no way to access it. That isn’t the same in case of services like Pocket. To begin with, download Pocket app from the Play Store and sign-up to create an account. Once that is done, open web page on Google Chrome, Opera or Mozilla browser, tap on three-dots and tap on share. Next, tap on Pocket and it will be saved to your account. 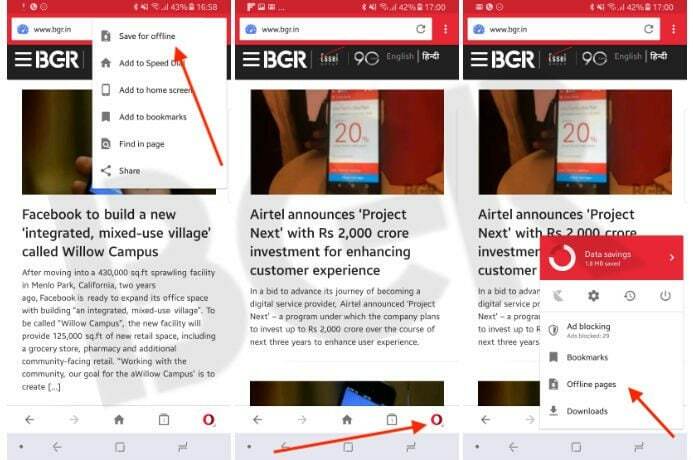 Now, here’s the interesting bit, the Pocket service is available on Android, iOS and there is also a web version of the same. 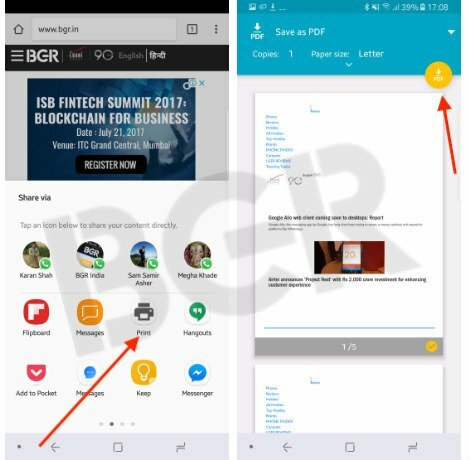 As all your pages are on cloud, when you save the link on your Android, it will be available across your other devices such as iPads and iPhones too. You can even access it on web browsers by visiting getpocket.com.